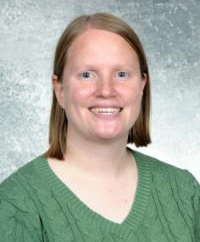 Dr. Zelewski is also the chair of the Department of Pediatrics for Altru Health System and campus coordinator of the pediatrics clerkship for the UND School of Medicine & Health Sciences, where she garnered Pediatric Teacher of the Year for the Northeast Campus in 2006 and 2011. Zelewski, a native of Austin, Texas, earned her Doctor of Medicine degree from Baylor College of Medicine in 2001 and completed a pediatrics residency at the Baylor College of Medicine Affiliated Hospitals in 2004. She joined the staff of Altru Health System in August 2004 and was chosen as department chair in 2010. Altru Health System honored her with its Organizational Excellence Award. She is board-certified by the American Board of Pediatrics, and she is a fellow of the American Academy of Pediatrics and participates in the academy's research projects. As a leader for Calvary Lutheran Church's Mission Honduras since 2007, she has planned, organized, and raised funds for projects to help the village of El Triunfo, Honduras, including funding a year-round lunch program that feeds 100 to 150 children a day. On a visit in El Triunfo, she provided medical care, helped construct a Bible school, and taught first aid and nutrition classes. She volunteers at St. Joseph's Social Care and Thrift Store. Since 2006, she has served as camp physician for Altru Hospice's Camp Good Mourning, which is for children who have lost a family member. She is also a member of the camp's board of directors. Zelewski is involved in a number of children's health initiatives. Since 2005, she has coordinated the Reach Out and Read Program for Altru's pediatrics department and has been a member of the Grand Forks Head Start Health Advisory Committee. She is the pediatrician for the Pediatric Developmental Assessment Clinic in Belcourt, N.D., and the pediatric representative for Safe Kids Grand Forks. From 2004 to 2012, she was one of the physicians for the Manvel Migrant School.